Hoegaarden White’s traditional hexagonal glass accentuates the traits that have made Hoegaarden famous: the pale, cloudy appearance that sparkles through the glass with an airy, white head. 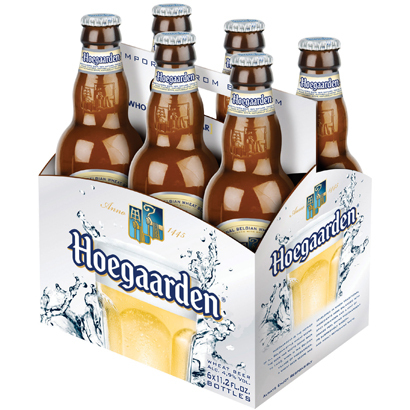 In addition to standard hops and water, Hoegaarden is brewed with a generous amount of unfiltered wheat, coriander and orange peel to create a smooth wheat beer that is both sweet and citrusy with a spicy aroma. The best way to pour Hoegaarden is to tilt the glass at a 45-degree angle. Pour two-thirds of the beer into the glass. Then, with the glass standing upright, swirl the contents as you pour the remainder to create Hoegaarden’s signature creamy head. Try Hoegaarden with light salads and seafood to enhance its spicy flavor and soft body.